A custom made product that can connect Female headers from many cases to a Standard "A" USB port on the instide or outside of your computer. 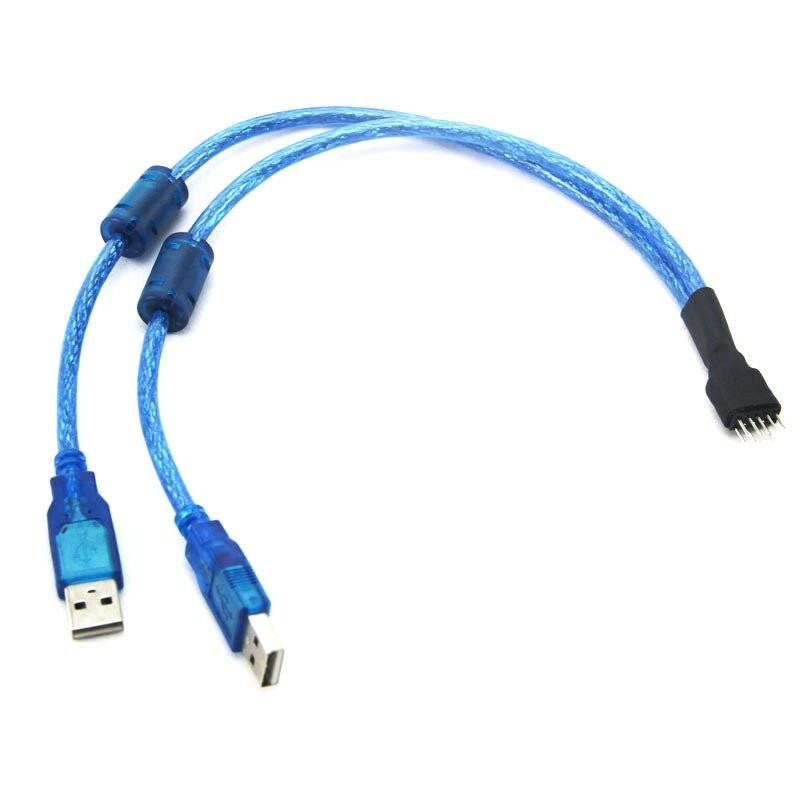 This cable is especially useful if you have already used up all the internal headers of your motherboard and you still need to connect something like the front ports of your computer case that came with internal female headers instead of standard "A" type USB connectors. The cable can exit through the PCI opening and plugged into one of the USB ports located at the back of the PC. You can also connect this cable to the internal port (USB type A female) of PCI USB card, or USB firewire combo card. For dual USB's application, you just have to use 1 cable. The cable is compatible with both USB 1.1 (standard) and USB 2.0 (high-speed). Cable is 12" long (30cm). Click the button below to add the USB 9-Pin Internal Motherboard Male Header to Dual USB Type-A Adaptor to your wish list.